August has been a productive month for the TC's southern California Conservation Center. Two interns, Simon Rouot (L) from France and Noah Rodrigues (R) from New Jersey, joined the TC Team. Simon is currently studying political science at Sciences Po in Paris and has been fascinated by turtles since childhood. He will be working at the center for the next three months gaining experience in the politics of conservation. 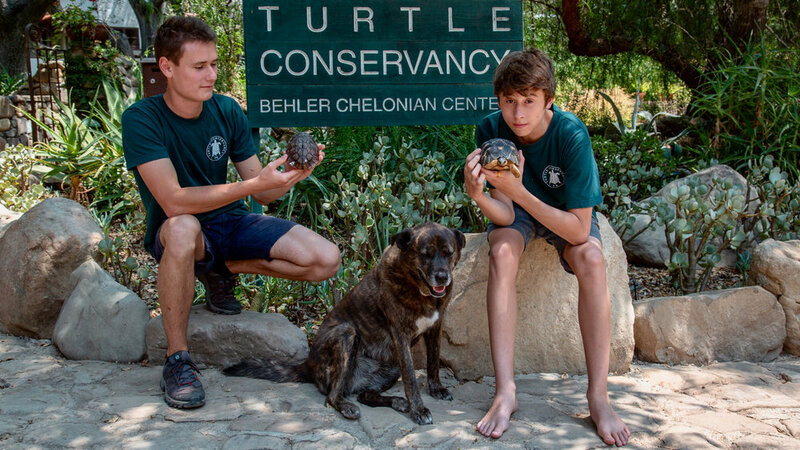 Noah, son of TC co-founder Maurice Rodrigues, lasted only three weeks as a turtle keeper and has returned home to begin his high school career. Over the past month, we have hatched some special species. 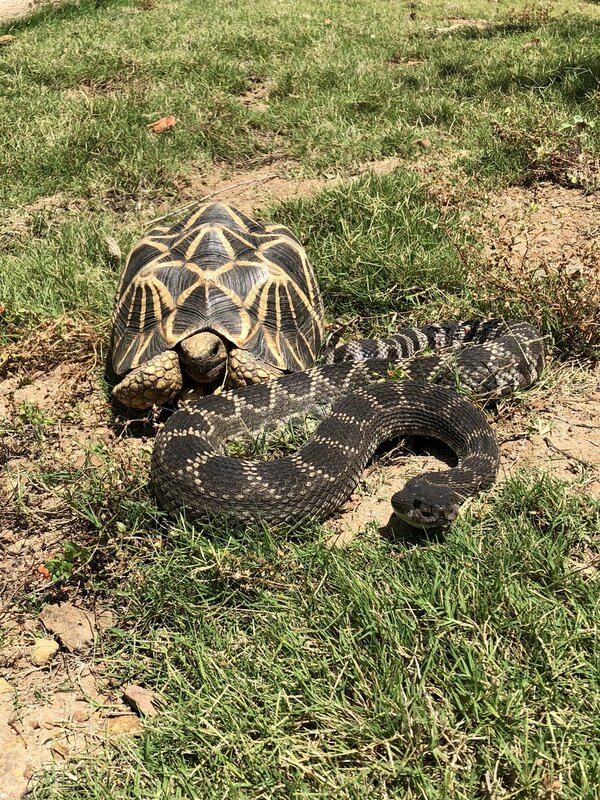 The list of Critically Endangered turtles and tortoises includes Pancake Tortoises, Burmese Star Tortoises, Radiated Tortoises, and Three-striped Box Turtles. 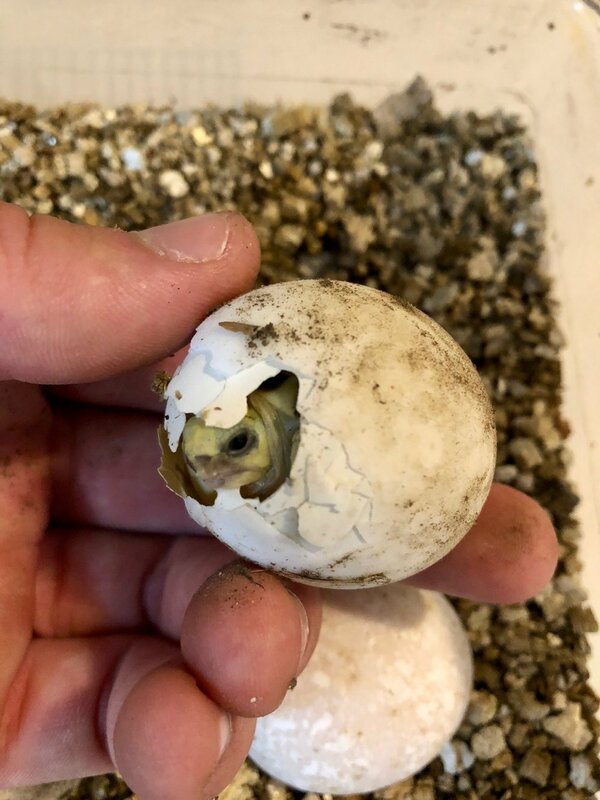 We also hatched a whole bunch of Burmese Black Mountain Tortoises! Most of our tropical Asian species reside in our large greenhouse. This modified and updated 1920's structure has been a vital part of our Conservation Center since we opened our doors in 2005. Our living collection has evolved over the years and so has our need for different turtle habitats. 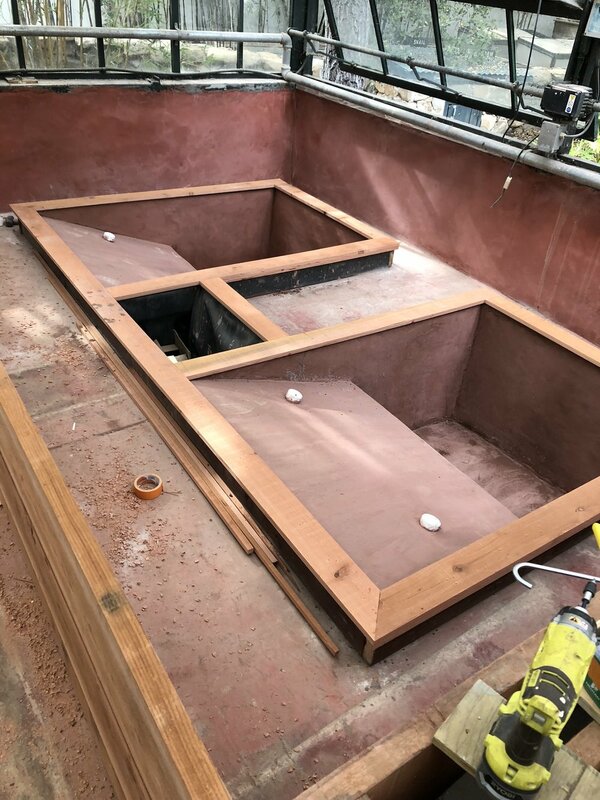 So a major redesign project began this month and now we are racing to get the greenhouse furnished and ready for the many Critically Endangered species that will be moving back in this fall.